CLI’s Recycling Program began as a small spin-off of the Document Destruction Program, starting with baled cardboard. Early customers included bars, restaurants and marinas. CLI’s recycling service survived and learned from the 2007 market crash. Today, CLI continues to offer comprehensive recycling services to area businesses and organizations. 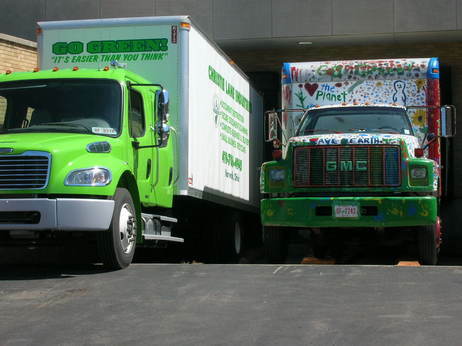 WE RECYCLE APPROXIMATELY 100 TONS OF PLASTIC, CARDBOARD, PAPER, METAL, GLASS AND OTHER MATERIALS EACH MONTH. CLI will provide the customer with a bin to collect their material and will swap out that bin on a set schedule dictated by the customer. CLI will pick up additional materials at no extra charge as long as the schedule pick-up can be accomplished within a 15 minute window. Longer pick-ups are billed at a rate of $20 for the first 15 minutes and $10 for each additional 15 minute period. CLI will reimburse customers for their materials after deducting service and material processing fees. Services are tailored to each customer. CLI will provide additional equipment to customers on an as needed basis. Mondo Polymer Technologies manufactures high quality products for transportation and related industries. A wide variety of products are made from recycled polyethylene and are environmentally safe. Learn more here.